Confession: I'm a total jam snob. Really though, I kind of can't help it. Every summer as a child I grew up helping my mother make enough of her delicious homemade raspberry and strawberry jams to get us by until the next year. The thing is, when you get accustomed to eating the homemade stuff, the processed jam from the store just doesn't quite measure up. And so, every summer for the rest of my life, I will continue to make jam. Haven't ever made jam before? Hesitant to try? Don't be. It's the easiest thing in the world to make. Seriously. It takes almost less effort than getting in your car and going to the store to buy gross jelly. This past week, as tradition would have it, my mom and I got together and made raspberry jam. 42 bottles to be exact. Oh my heavens it's only been a week, but my husband and I alone have almost devoured an entire bottle. 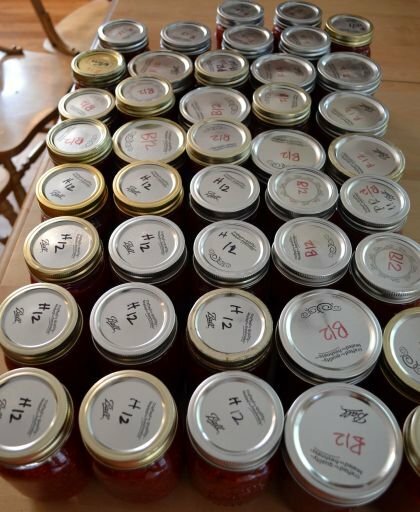 So, if you're smart you'll hurry and make your own 42 bottles of jam (or maybe not that many) before you can't find berries anymore. You'll thank me later! Packets of Sure Jell or Pectin (Refer to the recipe listed on the piece of paper in the box for detailed measurements). Start with a flat of raspberries (one flat made about 14 bottles of jam). 1. 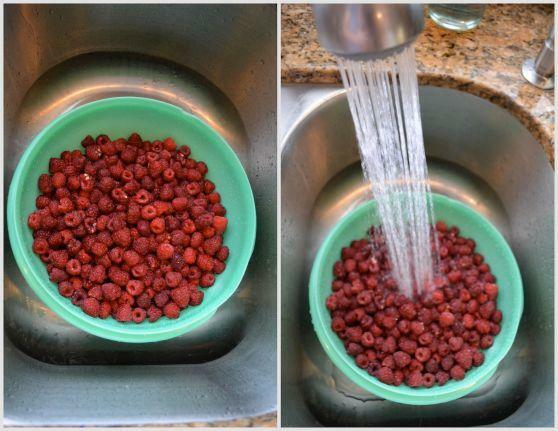 Put the raspberries in a strainer and rinse them off in the sink. Make sure you clean them off well; you don't want flecks of dirt in your jam! 2. 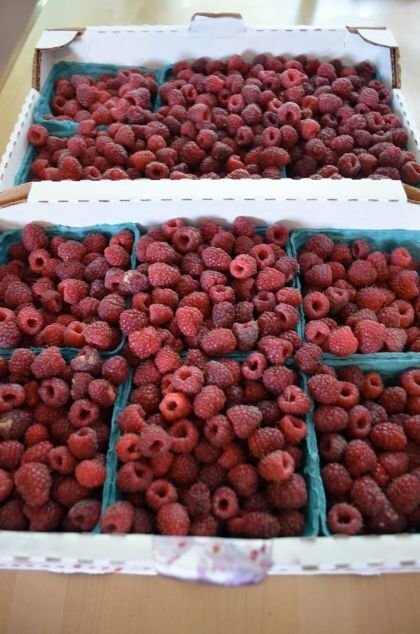 Once the raspberries are clean, dump them into a large bowl and mash them with a potato masher for several minutes until all of the berries are completely mashed. 3. Now you'll divide the mashed berries into bowls. Measure out three cups of berries and put them in a bowl. Continue to measure out three cups of berries and put them in their own bowl until the remaining berries are separated. (For one flat you should get about 3.5 bowls of berries). 4. Next, add 5 cups of sugar to every bowl, and mix well, until the sugar dissolves. (Each bowl will have 3 cups of berries and 5 cups of sugar). 5. 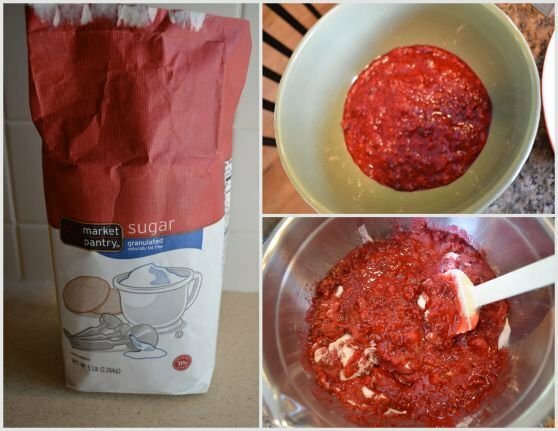 Set the berry/sugar mixture aside and let it sit for 10 minutes. While the berries are sitting, boil 3/4 cup of water. 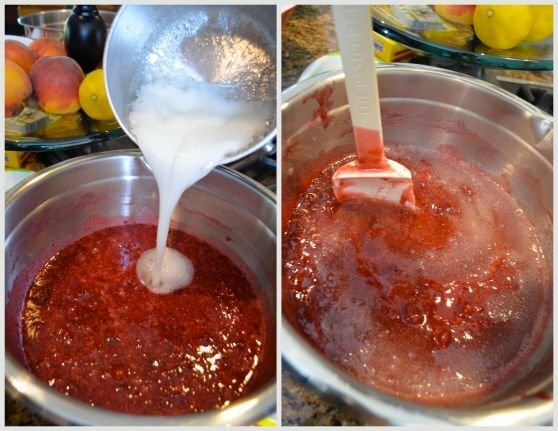 Once the water is boiling, add one packet of Sure Jell (or any other fruit pectin you prefer to use). 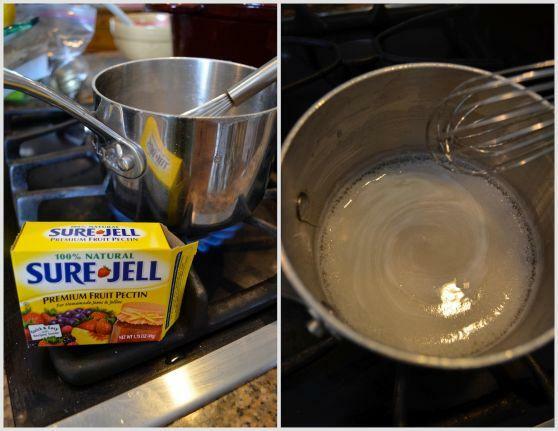 Mix the Sure Jell on the stove with the boiling water for about one minute. 5 and 6 for each of the bowls of berries you have). 7. 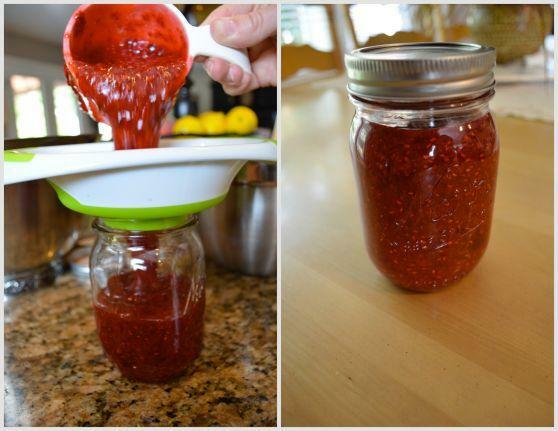 Get a measuring cup and funnel (optional, yet helpful) and pour the jam into mason jars. Don't fill the jars up all of the way (leave about an inch) because once you put the bottles in the freezer the jam will expand. You should get about 4 bottles of jam from each bowl. Leave the bottles on the counter for 24 hours, and then you can put them in the fridge or freezer! 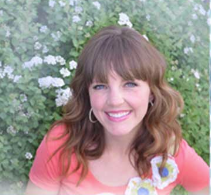 Step Right Up PLUS Gift Card Winners Announced! I'm Back, and We've Got a Giveaway!